Premium ink cleaner meeting strict Scandinavian waste water regulations. 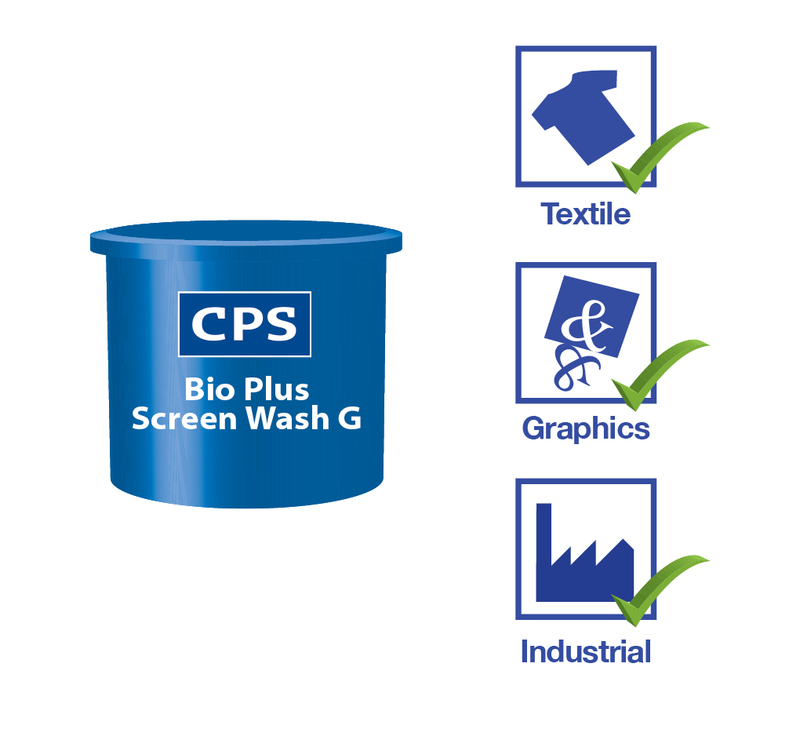 CPS Bio Plus Screen Wash G is part of the Bio Plus Range as an ink cleaner and haze remover that meets strict Scandinavian waste water regulations and provides screen printers with a highly effective water miscible and low VOC screen wash for manual and automatic machine cleaning of textile, graphics and industrial inks. Bio Plus Screen Wash is used after printing when the screen is going to be reclaimed. It is suitable for automatic or manual cleaning. 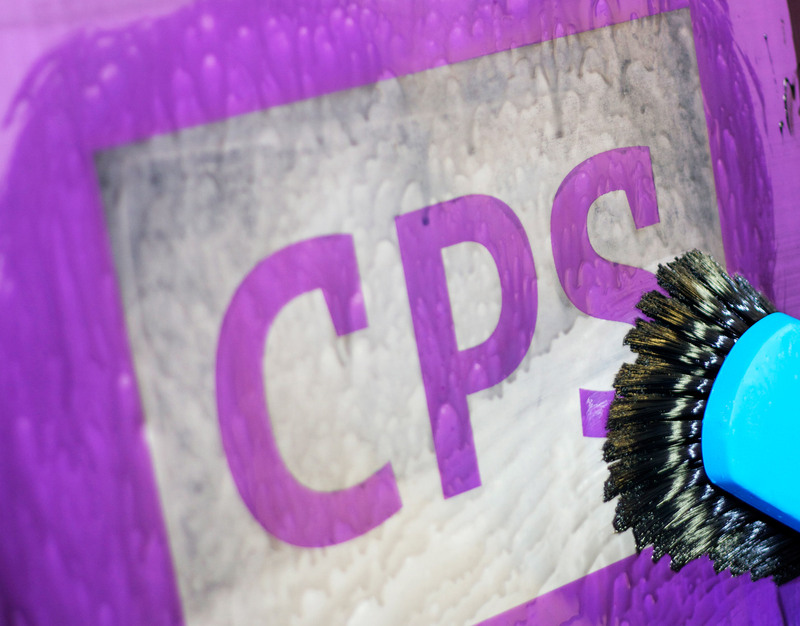 For manual use the product is designed to be applied with a blue CPS Brush and rinsed with water, prior to removing the stencil. 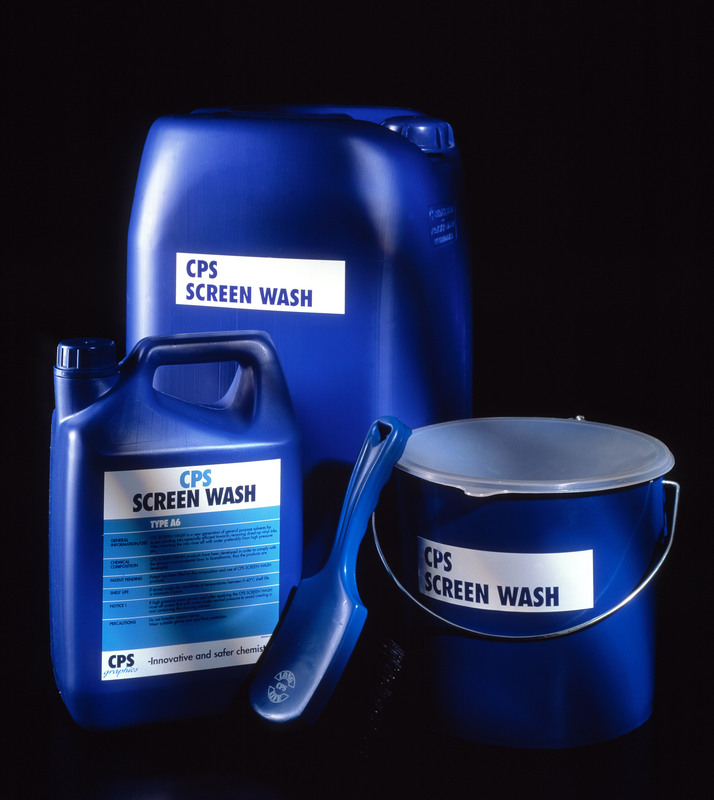 For industrial and two component solvent based screen printing inks CPS Stain Preventer Gel 7000 will need to be applied to the screen prior to the application of CPS Bio Plus Screen Wash G.
Available in 1 Litre, 5 Litre, 25* Litre and 210 Litre pack sizes. *CPS endorses best industry practice and manual handling of 25 litre containers should be risk assessed and suitable controls put in place. Use of mechanical handling equipment may be necessary. Flashpoint: 100°C (212°F) Sh CC (Setaflash closed cup)*. A: Substitution is strongly recommended. B: “Discharge”, in general, should be limited. C: None – problematic chemicals (as long as they are not discharged in larger quantities). Water does not have any score. Should preferably be lower than 20%, however, 20-50% may be acceptable. Values higher than 50% are unacceptable. The European Standard EN12921-3:2005 specifies that flammable cleaning liquids have a flash point at least 15°C (59°F) above ambient working temperatures (40°C / 104°F) and recommends a flash point of greater than 55°C (131°F) for machine cleaning. Bio Plus Screen Wash G is highly bio degradable and meets the strict criteria of the Danish Water Authority for Nitrification of waste water in treatment plants. Can be used in combination with Stain Preventer Gel 7000 for cleaning two component and solvent based industrial screen printing inks.